This is a further picture of Iona Abbey (original here). Iona has been at the heart of Scotland's Christian religious life since St Columba landed in AD563 and founded a monastery. Due to it's Northerly position it was to become a favourite place to attack by the Vikings in 795, 802, 806 and 825, resulting in the death of many monks. 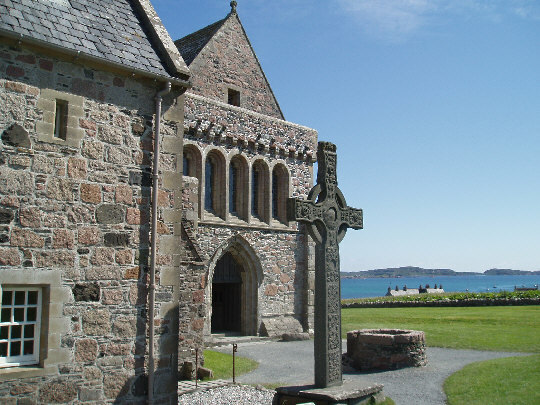 Iona remained the burial place of successive Scottish Kings until Macbeth, who died in 1057.